Today’s trains are usually powered by the use of diesel engines. Some train systems commonly use electricity powered systems that sit on the side of the tracks. Throughout history, trains have historically used steam power to operate in various countries around the world. Steam engines helped make trains more popular throughout the world. The widespread use of steam engines made far away travel much easier and less expensive than other travel methods. However, steam engines soon went out of style. Diesel engines eventually replaced steam engines in the 1930s. Diesel powered trains use diesel fuel and electricity to operate. By the 1960s, diesel-powered trains were introduced to most of Europe. Today, many freight trains use diesel power to operate and pull large cargo. In the 1950s, another type of train came into use. 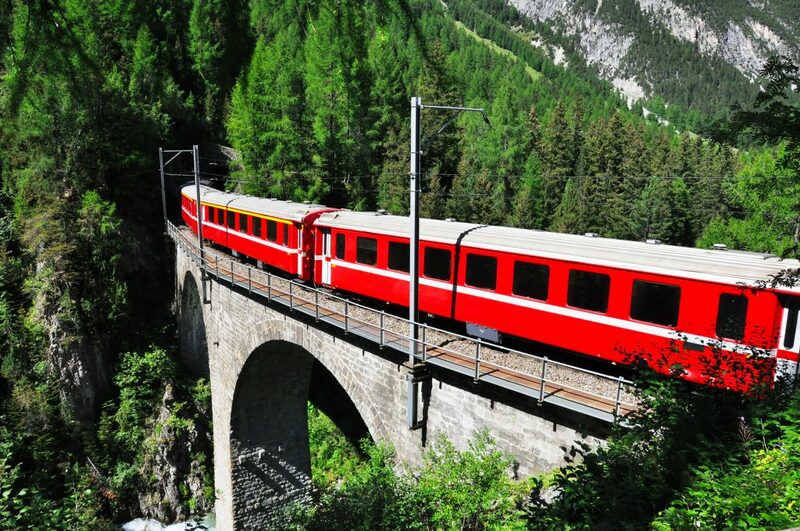 The electricity-powered train was first invented in Europe. Electricity-powered trains could reach speeds as fast as 128 kilometers per hour (80 miles per hour). Trains have a long history around the world. The earliest trains were only a set of carts joined together. This type of train worked along wooden tracks and was usually pulled by horses, mules, and in some cases, people. In 1775, many places began experimenting with steam as a possible power source for trains. By the early part of the 1800s, steam engines were finally invented and put into trains. Steam engines made moving cargoes much easier. Trains with steam engines also ran much faster. In Great Britain, workers began to lay down railroad tracks in major cities. That helped spark the train craze in the country. People in Great Britain could now travel to different places, while businesses were able to transport products from place to place. In 1860, the United States began building railroads throughout the vast country. Railroad businesses began booming during this highly active period. Railroads didn’t cross the entire country until a few wealthy individuals wanted to connect the Pacific and Atlantic coast with a long railroad. The Union Pacific and Central Pacific railway came up with a plan to connect both railways. They started laying tracks from Nebraska from the West and Northern California from the East, with a plan to meet in the middle. Thousands of migrant workers worked in all sorts of weather conditions over a period of six years. By May 1896, the first transcontinental railroad was completed!